It is not surprising that Monte Carlo biscuits are a beloved Australian classic. Made with butter and coconut they are rich and sweet, while the brown sugar and golden syrup give a subtle caramel note. 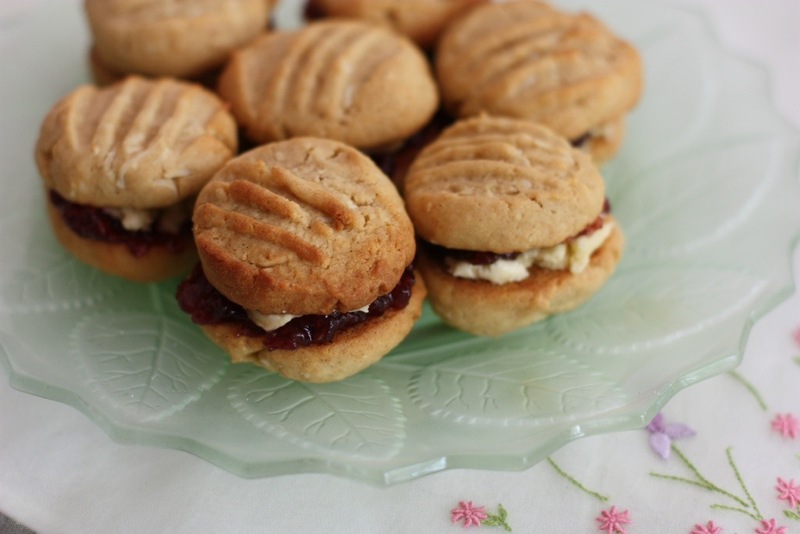 They are perfect for sandwiching vanilla buttercream and raspberry jam. I made these for Monaco’s national day (19 November) knowing full well that they have nothing at all to do with Monaco’s most famous district. This week’s Monaco theme was really a flimsy excuse to make something from my copy of the Australian Women’s Weekly’s Big Book of Beautiful Biscuits. It’s one of their titles from the 1980s (and it’s very 1980s) and is one of my favourite books from childhood. I’m sure normal people cherish titles such as Wind in the Willows or Alice in Wonderland as nostalgic childhood favourites, but for me its a sweets cookbook. Monte Carlo biscuits have been manufactured by Arnott’s since 1926 and have become an almost permanent fixture in the social landscape. They’re everywhere from school functions to family afternoon teas and work functions. I think it was their ubiquitous presence at interminably boring work meetings/functions that had almost ruined the memory of an old favourite. So this weeks baking has allowed me to appreciate Monte Carlo biscuits all over again; it’s almost a form of therapy. I have never made my own Monte Carlo biscuits before and I was very pleased with the results. My biscuits were much more tender and sweeter than the shop bought variety and, of course, they were much larger! What is your favourite childhood sweet treat? Mix the butter and sugar until light and fluffy. Add the egg, golden syrup and vanilla; mix. In a separate bowl, sift the flour and baking powder then stir through the coconut. Add the two together and mix well. Roll a spoonful of the dough into a ball. Place it on a tray and press down with a fork. Repeat until all the dough is used. Bake in a moderate oven until golden brown, about 10-15 minutes. Cool on a rack. While biscuits are cooling prepare the filling. Mix the butter and icing sugar until light and fluffy. Add the vanilla and the milk and mix well. 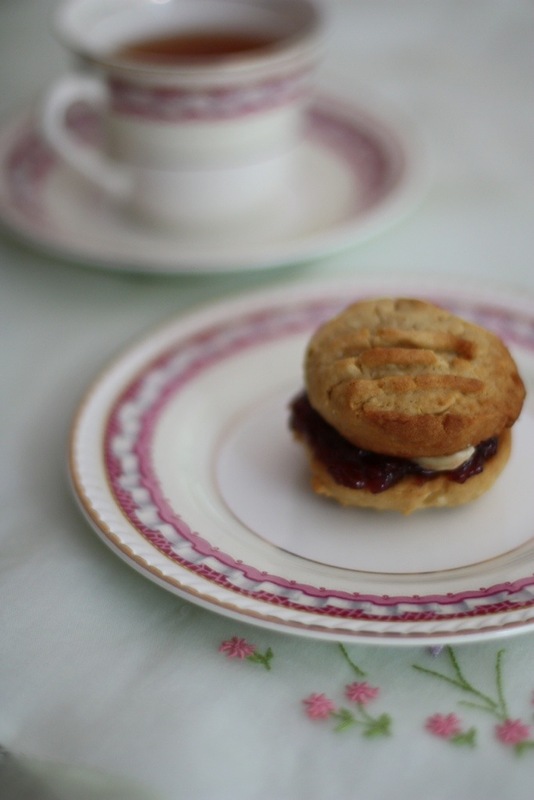 To assemble, place one teaspoon of jam on one biscuit and a teaspoon of the cream filling on another and sandwich the two together. Posted in Biscuits & CookiesTagged afternoon tea, Arnott's, Australian cuisine, Australian Women's Weekly, AWW, food, food photography, Monaco, vegetarianBookmark the permalink. Yes, the AWW and CWA cookbooks are great; always reliable!